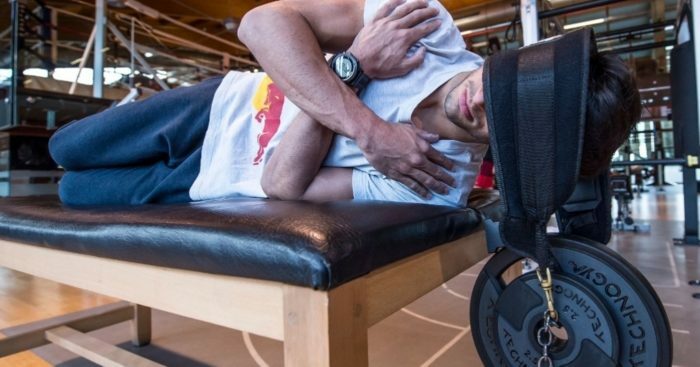 Ahead of a new era in which F1 is expecting a more physical challenge in driving the cars, Carlos Sainz is the latest to reveal a bit about his training regime. Like his rivals, the Spaniard has embarked on a winter of physical preparation with pre-season testing getting underway in just shy of three weeks. “Our fitness levels of 2016 won’t be any good for this year, so for that reason we need to step it up even more,” Sainz explained on the Red Bull website. “Instead of sessions of 50 minutes, which is normal, mine are between 1.5 and 2 hours – the length of a GP – and we’re working at around 180-190bpm heart rate. After that he puts in a 60-minute swimming session while exercises for the legs, arms and necks are high on the priority list given the G-forces that the drivers have to contend with. In this weights are placed inside the helmet to help the simulate G-forces from an F1 car.